One of the most frequently debated issues in management relates to the reasons for success and failure of new companies, corporate initiatives and projects. This textbook focuses on the management challenges of founding a new venture and managing its growth as the firm evolves. It covers crucial management areas in the entrepreneurship context such as entrepreneurial finance, marketing, and human resource management. In this context the authors comment on entrepreneurial ethics, social entrepreneurship and corporate culture as well. More hands-on management topics like writing a business plan and choosing a legal form for a venture are also covered. A key chapter of the book is dedicated to leadership challenges in managing rapidly growing young firms located in new industries and technology areas. 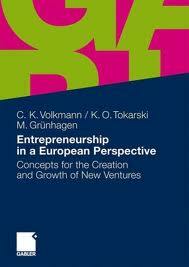 The book is written from a Continental European perspective to cater for its European target audience in entrepreneurship courses to be held in English.